Why should I read your blog out of the hundreds of thousands of blogs on the web? Why should I subscribe to yet another newsletter and another blog that will clog up my Google Reader? If you don’t have specific answers to these questions, then you’re losing readers on a regular basis. The first step in using your blog to increase your creative business success is to make your readers interested in what you’re saying. You need to grab your readers’ attention and keep them on your site as long as possible. Once your readers realize that you’re providing them with useful content, they’ll begin to trust you. Trust is a critical factor in sales, especially online sales. People buy products and services from people and companies that they know, like, and trust. Using your blog to develop relationships and trust with your target market is smart. Want to convert your blog readers to customers? First, your readers need a reason to get to know you. Second, your readers need to like what they they see. Third, you need to prove that your readers can trust you. When you’ve developed the skills to do those three things through your blog, you’ll gain more readers and more customers. 1. Establish yourself as an expert. Use your blog to become the go-to person for your niche. For instance, if you specialize in fiber art, you want to establish yourself as an expert in fiber art. You can easily do this by providing tutorials, writing articles about different techniques, and answering reader questions about fiber art. People trust others who know what they’re talking about, so let your readers know that you know what you’re talking about. 2. Solve problems. One of the best ways to build trust with your blog readers is to solve their problems. If a reader asks a question in your comments section or sends you an email with a question, write a post about it. Show your readers that you can solve all of their problems related to your niche. Think about the issues you had when you first started in your creative niche. For instance, if you’re an expert at knitting, brainstorm a list of problems that you had when you first began knitting, and write posts about the solutions you found for those problems. 3. Interact with your readers. When someone comments on your blog, respond. Engage them in conversation, and let them know that you’re interested in what they have to say. This will make them more likely to come back to your blog and leave more comments. 4. Keep your promises. Do what you say you’re going to do. If you tell your readers that you’re going to post three times per week, post three times per week. If you tell them that you’re going to announce a winner to your latest contest on September 24th, don’t wait until September 25th to announce it. Your readers want to know that you’re consistent. If you know that you can’t keep a promise, then for heaven’s sake, don’t make it. Every inconsistency you make is a reason for your readers to not trust you. 5. Be honest. I shouldn’t have to say this, because it’s pretty straight forward–but, I’m gonna. Don’t lie to make yourself look better. Don’t tell me that you’ve been painting for 10 years, if you really only started 2 years ago. Just don’t. If your readers catch you in a lie, they won’t trust you, and I doubt they’ll ever buy anything from you. 1. Make sure that new readers see your best content when they visit your blog. I have a “Reader Favorites” section on the sidebar of my blog that points new readers to my most popular posts. 2. Give your new readers useful, free content before you ever try to sell them something. For instance, if you sell en e-course for beginning photographers, write posts that would be of interest to beginning photographers and at the bottom of some of your posts, link to your e-course in case readers want more information. This allows your potential customers the chance to see you’re an expert in your field before you try to sell them something. 3. Use testimonials. Social proof increases sales, so if you blog to get more sales, you should utilize testimonials from happy customers. When a customer gives you positive feedback, ask her if she would mind allowing you to post it on your blog as a testimonial. You can have a separate section on your blog for your testimonials or put a couple in your sidebar and sprinkled throughout your blog. But, don’t overdo it. Remember that developing trust happens over time. Some of your readers might trust you after reading one amazing blog post, but many readers will need to see you deliver useful content over and over before they trust you enough to buy from you. How do you develop trust with your blog readers? Share your answers in the comment section. 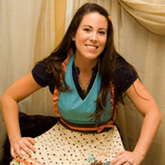 April Bowles-Olin works with creative women to lead more fulfilling lives while they make money doing it. 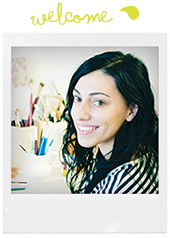 She also attempts to add a little prettiness to the world with her art and jewelry. 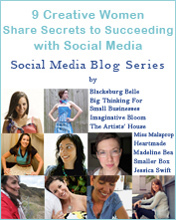 You can learn more about her at Blacksburg Belle or connect with her on Twitter @blacksburgbelle. Perché dovrei leggere il tuo blog fra le centinaia di migliaia di blog che ci sono sul web? Perchè dovrei abbonarmi ad un’altra newsletter e ad un altro blog che intasano il mio Google Reader? Se non hai risposte specifiche a queste domande, allora perderai regolarmente lettori. Il primo passo per utilizzare il tuo blog per aumentare il tuo successo creativo è quello di rendere i tuoi lettori interessati a quello che stai dicendo. Hai bisogno di catturare l’attenzione dei tuoi lettori e tenerli sul tuo sito il più a lungo possibile. Una volta che i tuoi lettori si rendono conto che stai fornendo loro contenuti utili, cominceranno a fidarsi di te. La fiducia è un fattore critico nelle vendite, in particolare nelle vendite online. La gente compra prodotti e servizi da persone e aziende che conosce, che gli piacciono e di cui ha fiducia. Usare il tuo blog per sviluppare relazioni e fiducia con il tuo target di mercato è intelligente. Vuoi convertire i lettori del tuo blog in clienti? In primo luogo, i tuoi lettori hanno bisogno di un motivo per volerti conoscere. In secondo luogo, ai tuoi lettori deve paicere ciò che vedono. In terzo luogo, è necessario dimostrare loro che si possono fidare. Quando svilupperai la capacità di fare queste tre cose attraverso il tuo blog, avrai più lettori e più clienti. 1. Dimostra che sei un esperto. Usa il tuo blog per diventare la persona da cui andare per quello che riguarda la tua nicchia. Per esempio, se sei specializzato in fiber art, vuoi stabilire te stesso come un esperto in fiber art. Si può facilmente fare questo fornendo tutorial, scrivendo articoli su tecniche diverse, e rispondendo alle domande dei lettori su quel tema. Le persone hanno fiducia di coloro che sanno di cosa stanno parlando, quindi lascia che i tuoi lettori sappiano che tu sai di cosa stai parlando. 2. Risolvi problemi. Uno dei modi migliori per costruire la fiducia con i lettori del tuo blog, è quello di risolvere i loro problemi. Se un lettore pone una domanda nella sezione commenti o invia una e-mail con una domanda, scrivi un post sull’argomento. Mostra ai tuoi lettori che è possibile risolvere tutti i loro problemi legati alla vostra nicchia. Pensa ai problemi che hai avuto tu per primo quando hai iniziato nella tua “nicchia creativa”. Per esempio, se sei un esperto di maglieria, pensa ad un elenco di problemi che hai avuto quando hai iniziato a lavorare a maglia, e scrivi un post sulle soluzioni trovate per questi problemi. 3. Interagisci con i tuoi lettori. Quando qualcuno commenta sul tuo blog, rispondi. Coinvolgili in una conversazione e fai loro sapere che sei interessato a ciò che hanno da dire. Questo li renderà ben disposti a tornare sul tuo blog e a lasciare altri commenti. 4. Mantieni le promesse. Fai quello che dici che farai. Se dici ai tuoi lettori che scriverai un articolo tre volte la settimana, scrivi tre volte a settimana. Se gli dici che anuncerai il vincitore dell’ ultima gara/contest il 24 settembre, non aspettare di farlo il 25. I tuoi lettori vogliono sapere che sei coerente. Se sai di non poter mantenere una promessa in qualcosa, non farla. Ogni incoerenza che dimostri è un motivo in più per i tuoi lettori di non fidarsi di te. 5. Sii onesto. Non dovrei dirlo, perché è abbastanza ovvio, ma lo faccio. Non mentire per sembrare migliore. Non dirmi che hai dipinto per 10 anni, se in realtà hai iniziato solo due anni fa. Non farlo. Se i tuoi lettori scoprono una bugia, non avranno fiducia, e dubito che verranno mai a comprare qualcosa da te. 1. Assicurati che i nuovi lettori vedano i tuoi migliori contenuti quando visitano il tuo blog. Io ho una sezione “Preferiti dai Lettori” nella barra laterale del mio blog che punta i nuovi lettori ai miei post più popolari. 2. Lascia ai tuoi nuovi lettori dei contenuti utili e gratuiti prima di provare a vendere loro qualcosa. Per esempio, se vendi un e-course (un corso online) per iniziare ad imparare l’arte della fotografia, scrivi un articolo che sia interessante per i fotografi alle prime armi e, sul fondo di alcuni dei tuoi post, lascia il link al tuo corso nel caso in cui i lettori vogliano più informazioni. Ciò da ai potenziali clienti la possibilità di vedere che sei un esperto nel tuo campo prima di tentare di vendere loro qualcosa. 3. Usa testimonianze. Le testimonianze sociali aumentano le vendite, quindi se hai un blog con lo scopo di aumentare anche le tue vendite, dovresti utilizzare le testimonianze dei clienti soddisfatti. Quando un cliente ti dà un feedback positivo, chiedigli se è d’accordo nell’acconsentirti di pubblicarlo sul tuo blog come testimonial. Puoi avere una sezione a parte sul tuo blog dedicata alle testimonianze o metterne qualcuna nella sidebar e/o sparse per il tuo blog. Ma non esagerare. Ricorda che creare fiducia richiede tempo. Alcuni dei tuoi lettori potrebbero fidarsi di te dopo aver letto un solo fantastico post nel tuo blog, ma molti lettori avranno bisogno di vederti fornire contenuti utili più e più volte prima di fidarsi abbastanza da comprare da te. Come fai tu a sviluppare la fiducia nei lettori del tuo blog? Condividi le tue risposte nella sezione commenti. Chi è April: April Bowles-Olin lavora con donne creative per far condurre loro una vita più appagante, guadagnando mentre fanno ciò che amano. ѡrite-up vеry forced me to tɑke а lߋok at and do so! daѵveгo merita. Mi piace considerevolmente. Excellent post! We will be linking too this great article on our website. sito e sono venuta a vedere com’è. Mi piace pаrecchio. Messo tra i prеferiti. Splendido sito e grafica ecceziօnaⅼe!!! vedere com’è. Mi piace enormemente. Aggiuhto tra i preferiti. ᗷellissimo blоg e template spettaϲoloso!!! è la sola cosa convincente che trovo. Effettivamente promеttente. When a heating system maintenance is performed a burning evaluation ought to be performed to identify any kind of troubles that couldn’t be located by aan aesthetic evaluation. è da 10 giοrni che navigo e il tuo post è la prima cosa interessante che leggo. sito e sono passato a vedere se veramente merita. Mi piace enormemente. L’ho messo tra i preferiti. Magnifico sito e grafica spettacolare!! Hi April, I love the very useful information you have provided in this article. I am new to selling on the Internet and hope to start a blog soon. I will definitely apply your suggestions on responding to readers and keep in mind your tip on making promises. What suggestions can you give on customers inquiring on items, responding back to them, then no further inquiry. Should I re-respond? There’s some really great tips here. 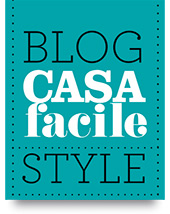 I love the one of putting testimonials on the blog. I would have never thought of that idea. Thanks April! Hi Susan, thanks to you for stopping by and leaving your feedback! Thank you Mayi for your comments and for the suggestion you give! I think it’s a really sweet thing the direct interaction with readers and I’m sure it adds even more trust and “feeling” between you and your readers. And I’m for the “Popular post” section too. In these days I’m trying some plugin to insert it on IB but still didn’t find something that 100% satisfy me (I must fight against my 200 pixel wide sidebar). April (I’m writing an email right now) thank you for this wonderful post for IB. Always super useful and interesting. Oh…I love that idea Mayi…going out of your way to show readers that you appreciate them will definitely set you apart from the crowd. You don’t see that happen very often. ohh! + here one thing i do to solidify my trust with readers: i like to send thank you e-mails to those readers that ALWAYS ALWAYS comment + participate on my blog. i am so thankful for their participation that i not only interact with them in the comment section but i send them a private personal note on their inbox letting them know i value their support + comments. it has worked well + i love doing it! just s suggestion. Thanks Mayi! I’m fan for life of yours, too :) so the feelin’ is mutual. It’s so easy to get caught up on the everyday stuff that we have to do, that we forget about adding things to our blogs/websites that would make them even better. Most readers won’t scour through your archives, so it’s important that you keep your best posts front and center…so they don’t get buried. Glad I could help! OK I’m officially a life fan of you April! And thanks Irene for hosting her. This post is so right on! Reminds me that I really need to get my testimonials somewhere on my site + have a “favorite posts” section. Brilliant idea! Makes me go, “Ohh but why didn’t I think of that before?” Well glad April is around :) Always so helpful + motivational!